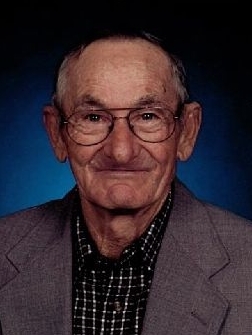 Oleph “Gene” Crane, 90, of Tuscumbia passed away peacefully January 28, 2019 at Miller County Care and Rehab in Tuscumbia, Missouri. He was born in Tuscumbia on March 19, 1928, the son of the late Oval Slyvana and Ethel (Davenport) Crane. He attended the Dog Creek School in Ulman, Missouri. On October 18, 1974 he married the love of his life, Irieta Kathleen Merrill in Republic, Missouri who preceded him in death on November 16, 2013. Gene was a hard working farmer his whole life. He raised cattle and in earlier years, hogs that they processed themselves to butcher. He planted and raised his own crops that were done on the family’s Century farm. He also did custom hay baling and combining throughout the county. Gene was a bus driver for the Tuscumbia/Miller County R-III schools for twelve years where both his sons attended and all of his grandchildren have. He was baptized in Dog Creek in Ulman, MO at an early age. He was a member of the Mt. Zion Christian Church in Tuscumbia, MO. where he was a Sunday school teacher for several years. Gene enjoyed dirt track racing, he loved bowling and hunting and being on the river and the great outdoors. He is survived by a sister, Barbara Carico Tipton of Brumley, MO; son, David Crane and wife Tina along with their sons, Morgan and Mason of Tuscumbia, MO; a daughter Meghan of Columbia, MO; son John Crane and wife Samantha along with their sons Johnathan “JJ” and Maverick of Tuscumbia, MO. ; several nieces, nephews and great nieces and great nephews. Others preceding him in death are a brother Fred Crane and his wife Juanita; a sister Nina Ruth (Crane) Berendzen and her husband Donald; nieces Deborah (Berendzen) Thering; Rose (Carico) Stafford and a nephew Weston Lee Crane; and two brothers in law Robert Carico and Edgar Tipton. 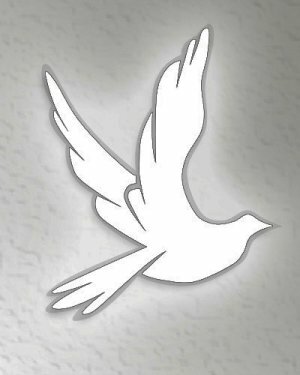 Visitation will be 4:00 PM – 8:00 PM Friday, February 1, 2019 at Phillips Funeral Home of Eldon, MO. Funeral Service will be held at the Mt. Zion Christian Church at 11:00 AM Saturday, February 2, 2019 in Tuscumbia, MO with Pastor Charlie Worstell and Pastor Mark Kessler officiating. Burial to follow at Gott Cemetery in Ulman, MO. Memorial contributions are suggested to the Gott Cemetery where his family lays. God took a great “Farmer to Heaven!” He will be greatly missed by his family, friends and all who knew him.